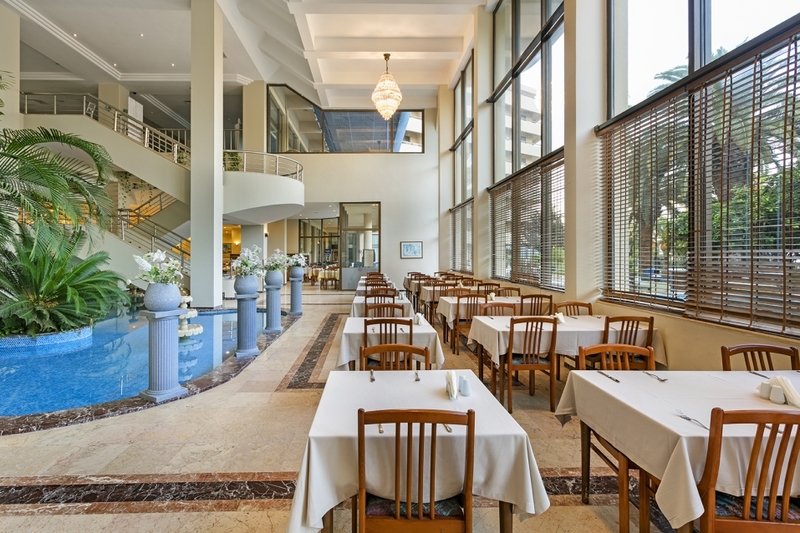 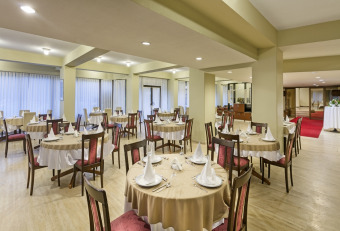 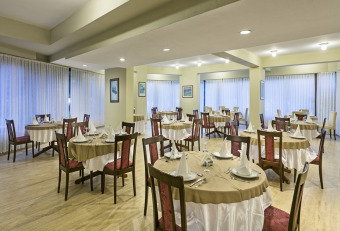 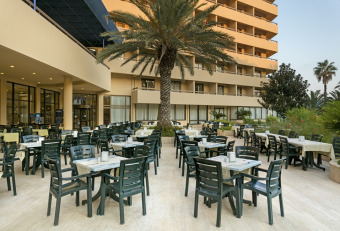 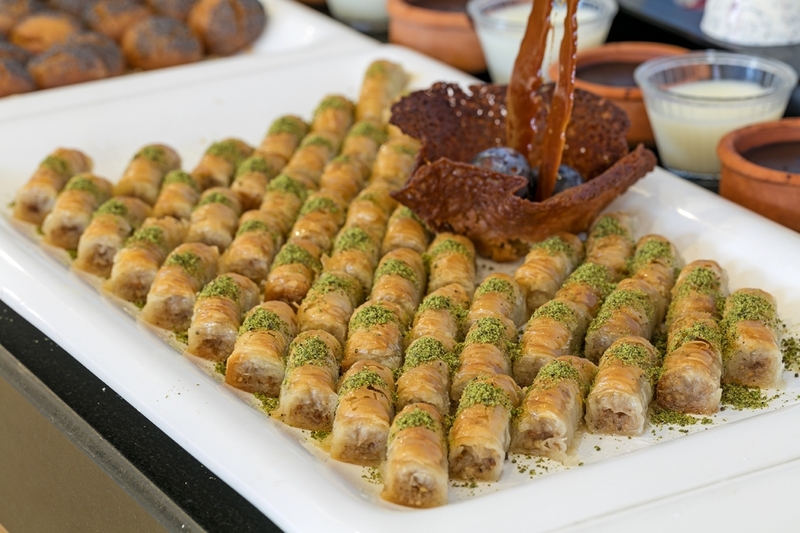 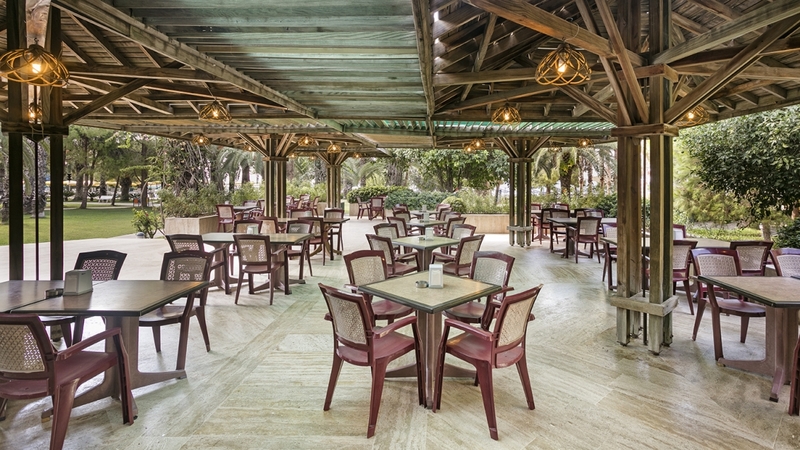 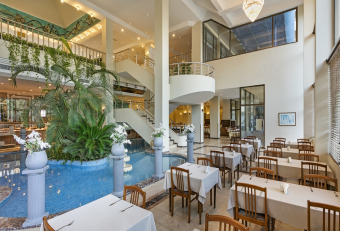 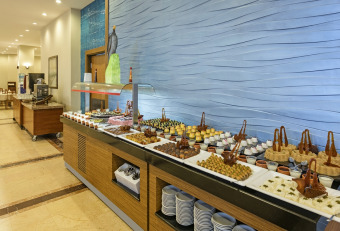 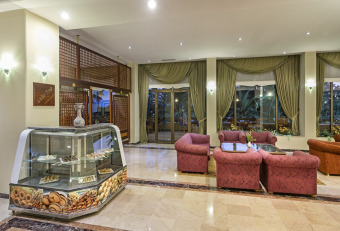 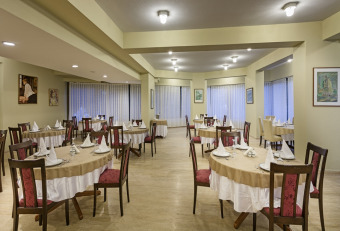 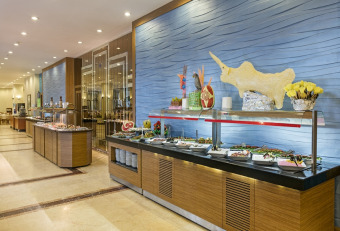 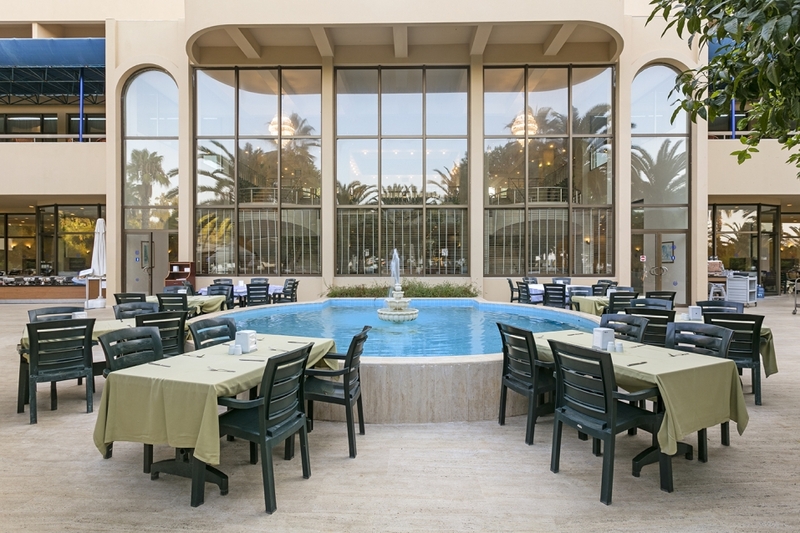 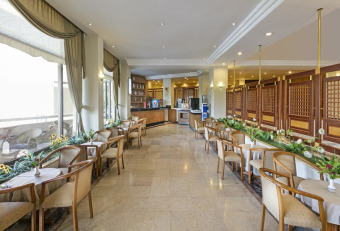 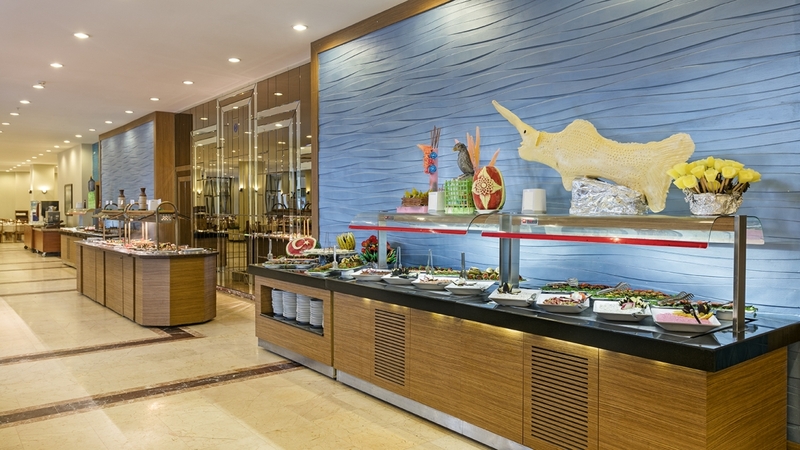 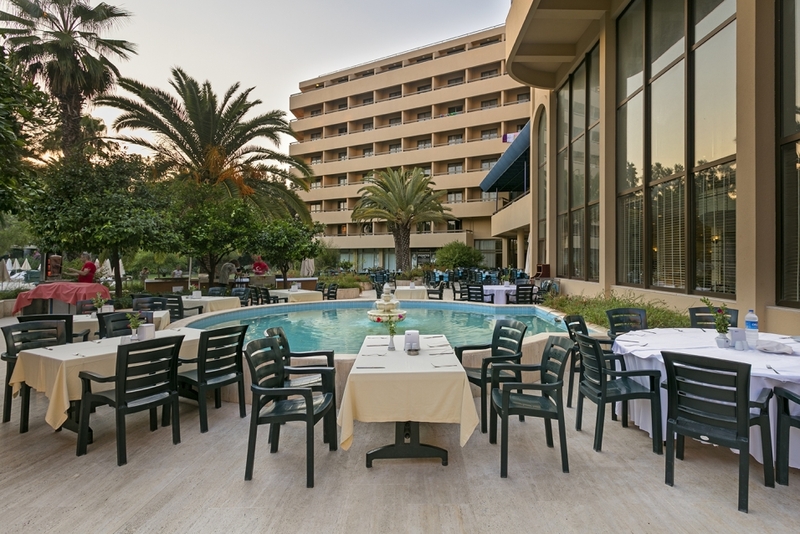 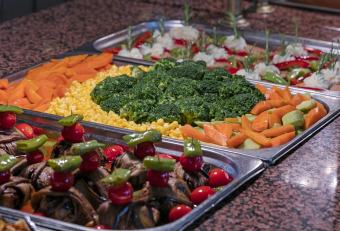 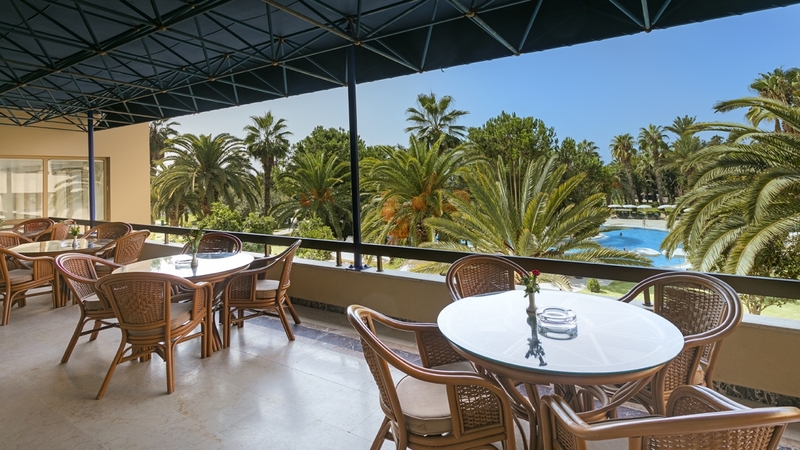 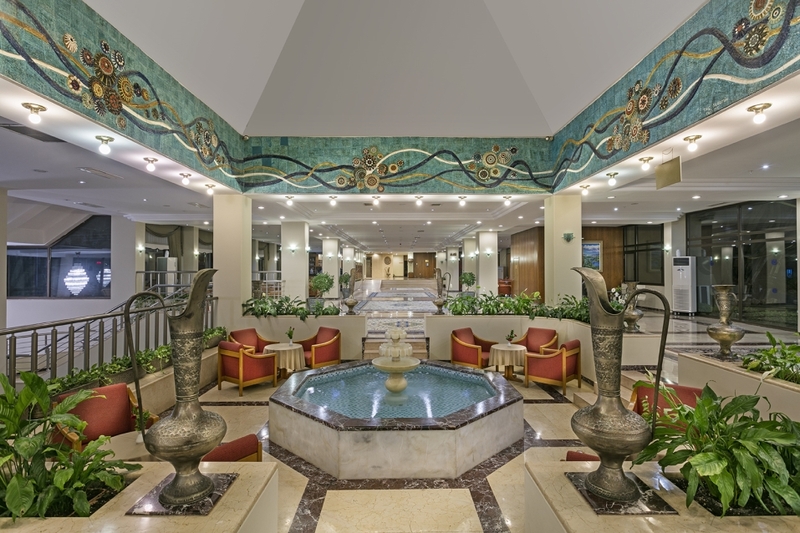 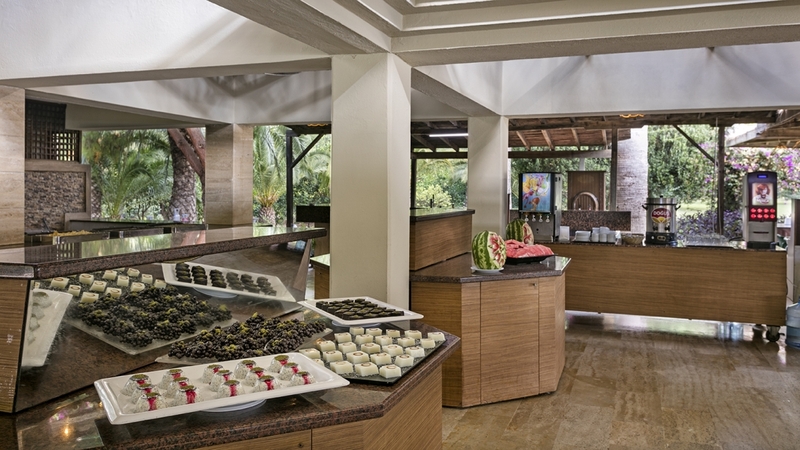 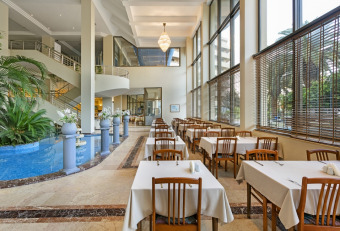 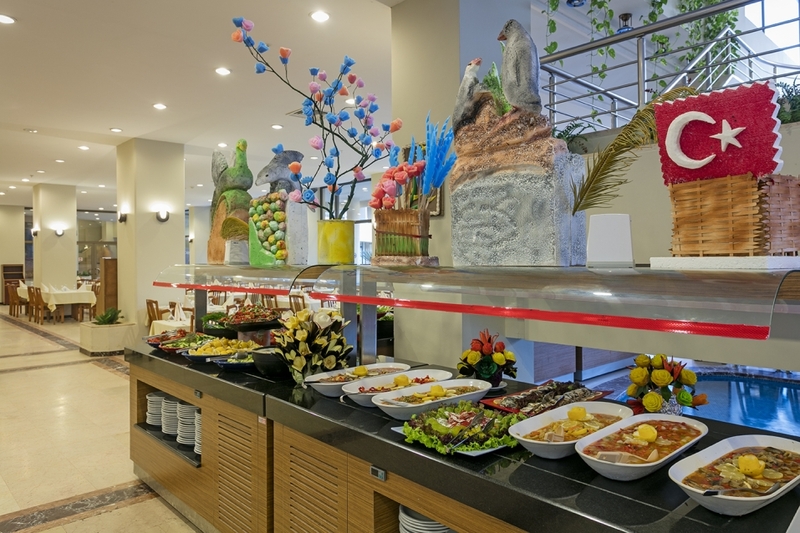 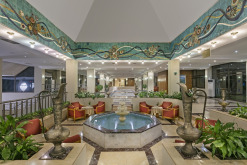 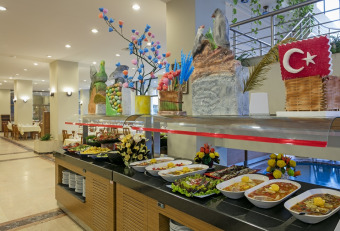 Serving breakfast in the morning and dinner in the evening with rich open buffet, our restaurant has a capacity available for 400 people indoors and 400 people outdoors. 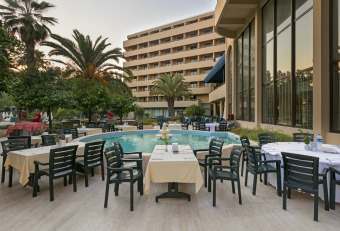 You may enjoy your Dinner with your Family in our Restaurant with a Capacity of 80 People with its Rich Mediterranean Menu. 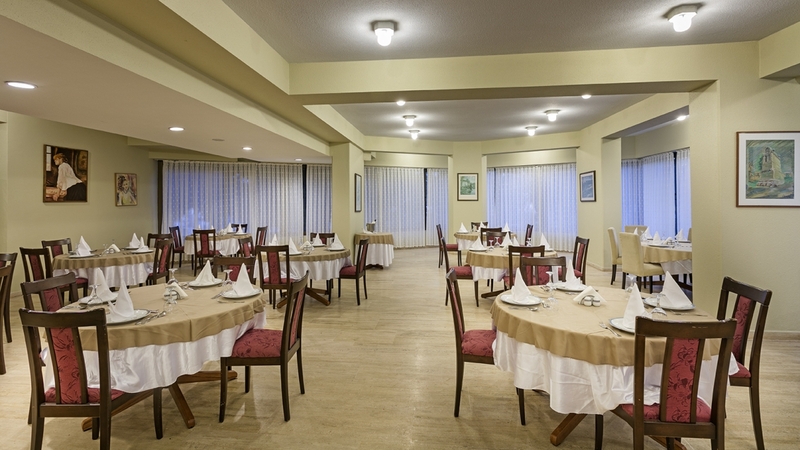 All kinds of beverages are being served 24 Hours a day. 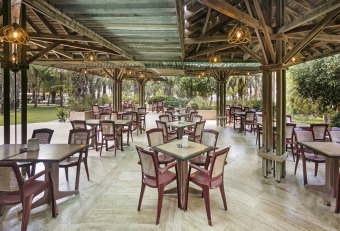 Imported spirits are being served against Payment. 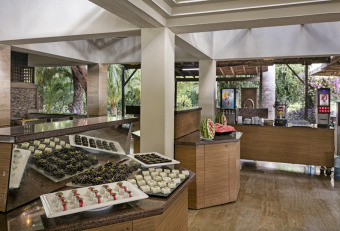 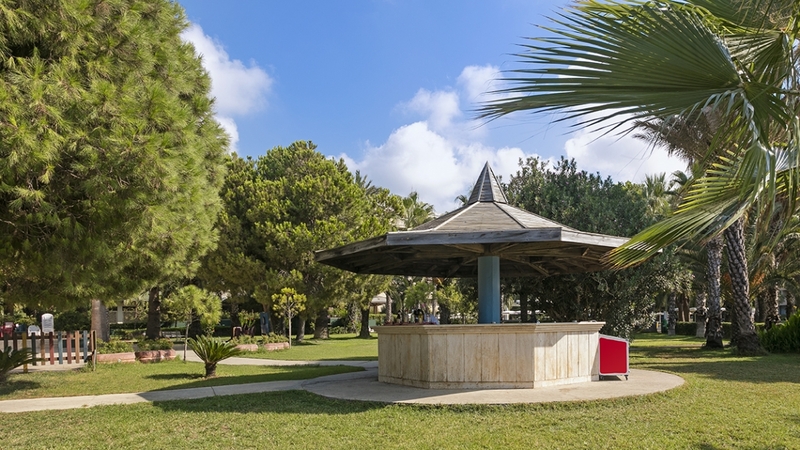 Lunch, Snack Services and All kinds of Beverages are served.